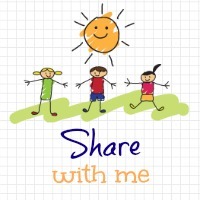 Welcome to the ‘Share With Me’ blog hop Week 11! Thank you for those that joined in last week, It was a busy week, full of great blog posts! There was a vast variety of subjects, which were really captivating! I really enjoyed getting to know more of you and your lovely blogs through your posts. It’s great to see so many participating, thank you for the continual support. Each week I pick a favorite post and feature it on the following week’s link up. I also have made a Pinterest board to pin all my favorites in one place, check out my favorites board here and reread some great posts. Without further ado last week’s favorite was from the lovely Potty Mouthed Mummy – Guilty Pleasures & Secrets. I loved this. We all have them. If you missed it last week, here it is again, you must stop by and have a read! Please make sure to visit your host, Let’s Talk Mommy and comment on a few others while you are here. Linkys only work if we share the love as well as share our post. for Best Baby Blog & Best New Blog in the MAD Blog Finals! Oldies are still goodies my dear. Thanks for the support. As I always say oldies are still goodies. Hi Jenny! All linked up for another week. This is such a fab linky, keep up the good work! Thanks Zena that means a lot to me. I appreciate all your support I really, really do. Glad you like the linky. Hurray thanks debs look forward to reading it!! !